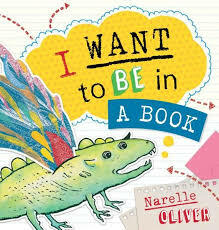 This picture book, the last title by Narelle Oliver, is a kind of mecca to imagination and creation. It epitomises the need to belong, the joy of purpose and the delicate process of turning dreams into magical reality. And it is all done through the eyes and heart of a mere idea…a sketch, but a sketch with a name, Cecil. If you’re looking for picture books exploring friendships of massive proportions, then these two latest delights are for you. Perfect for melting any sized heart! Blue Whale Blues, Peter Carnavas (author, illus. ), New Frontier Publishing, 2015. On first glance, I noticed something different about Peter Carnavas‘ most recent creation compared to his previous works. His books including ‘The Boy on the Page’, ‘Jessica’s Box’ and ‘Oliver and George’ are well-known for their adorable hand-painted characters and animated scenes. 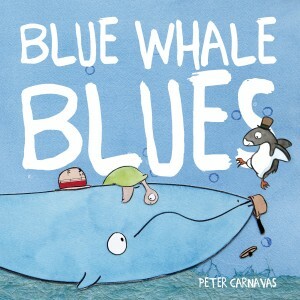 In ‘Blue Whale Blues’, the illustrations are still adorable and animated, but with an extra element; texture. Each character on each page has been individually crafted and cut out, with additional bits of fabric and textured and patterned papers to create an eye-catching, sensory collage effect. The washes of blues dominating the mixture of double-page spreads and bubble-shaped vignettes most suitably compliment the mood. And just to top off that sensory experience, Carnavas and New Frontier have cleverly integrated an interactive MP3 audiobook to listen to and read along. Just brilliant! It is poor Whale’s wallowing in his own grief that captures our attention from the outset. He struggles to understand simple, everyday objects and their functions, such as upside-down bikes (“It’s NOT a bike!”, I hear the audience shout), and the use of a helmet (no, it’s not really a helmet!). Lost in his ocean of pity, Whale sings himself a ‘blues’ tune every time he gets stuck. But thank goodness for his trusty, easy-going pal, Penguin. He knows just how to help (or does he?). Although Penguin and Whale don’t quite succeed in their ‘big’ plan, at least they can have a good ol’ laugh at themselves, even when things continue to go awry. ‘Blue Whale Blues’ will inspire fits of laughter, moments of close bonding, and a cheery sing-and-read-along experience. With strong characters; big in stature and big in heart, this hugely engaging tale of friendship, problem solving and optimism is bound to sweep preschoolers off their feet time and time again. Be sure to check out Peter’s book launch if you’re in the West End area of Queensland. 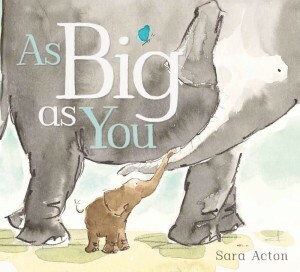 As Big as You, Sara Acton (author, illus. ), Scholastic Press, 2015. Sara Acton, much-loved author illustrator known for her gorgeous watercolour and line works of art, including picture books such as ‘Daddy Cuddle’, ‘Poppy Cat’, and ‘Bridie’s Boots’. Her most recent creation is ‘As Big as You’, which, unlike the title suggests, defies gravity on a number of levels. First, the book’s rotation has been turned on its side, allowing for maximum impact to reflect its huge illustration proportions. Second, this story of one of the largest creatures on earth is so wonderfully light-hearted and whimsical to lift even the heaviest of spirits. And third, there is a part in the story that sees an elephant literally whizzing and zipping through the air like a weightless, deflating balloon! How extraordinary! We are introduced to Claude, massively dominating the double-page, portrait-oriented spread, who is the father-figure to the little one crouched at the bottom of the page, Finlay. Finlay faithfully looks up to Claude, attempting the same triumphant feats as his elder, only to discover they are abysmal in comparison. So with every ounce of his might, Finlay tries his hand at greatness and climbs a tall tree. (Then comes the part where he resembles an out-of-control balloon). But reuniting with Claude is the reassurance and comfort that he needs to know that there is no hurry to grow up. Tickles, fat raspberries on tummies and a safe place to belong are suitably the best. ‘As Big as You’ is lively and interactive, with absolutely relatable characters. It beautifully captures the magic of childhood and the essence of perspective, loving relationships and independence, and reminds young readers to relish these playful and innocent moments.